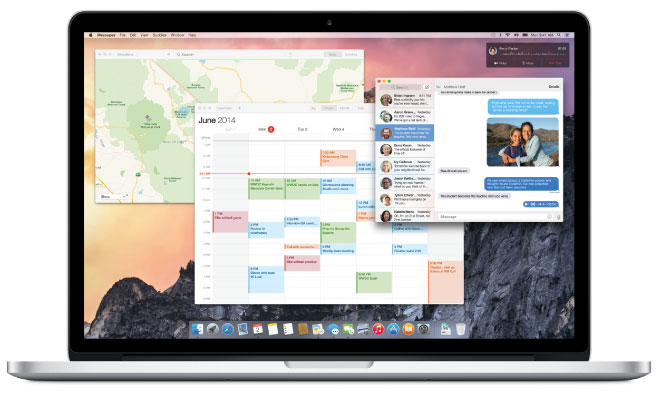 Apple's free next-generation Mac operating system, OS X 10.10 Yosemite, will hit the Mac App Store today, packing in an all-new design, Continuity and Handoff with iOS 8. In addition, a redesigned iWork suite is also set to launch as a free download. Apple software chief Craig Federighi demonstrated many of the new features of Yosemite at a media event in Cupertino, Calif., on Thursday, chief among them the new Continuity and Handoff features, which allow users to seamlessly transition between their Mac and their iOS devices. Apple also shined a light on less-touted features like highly efficient operation in Safari, which helps with battery life when streaming video and performing other processor intensive operations. Also demonstrated on Thursday were new versions of Numbers, Keynote and Pages, which encompass the company's iLife suite. 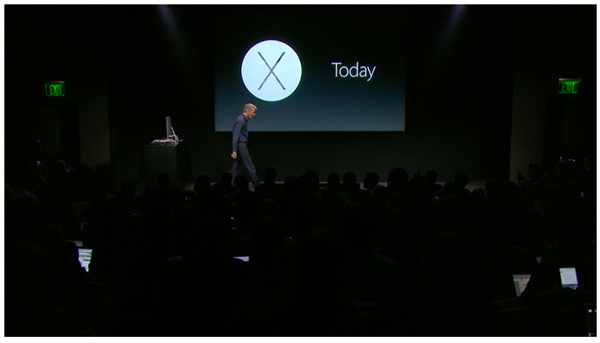 The applications feature a new, flatter design that is in line with the changes made to OS X Yosemite. The final public version includes support for iCloud Drive, which brings easy cross-platform file sharing to Mac, iOS and even Windows devices. Mail has also been upgraded with Markup features and support for the iCloud-based Mail Drop for sending files up to 5GB in size. Finally, Yosemite comes with the redesigned iTunes 12. Family Sharing, so family members can now browse and download each other's iTunes, iBooks or Mac App Store purchases.